“In the 40 years that Japan had been building nuclear plants, seismic activity was, fortunately or unfortunately, relatively quiet. Not a single nuclear facility was struck by a big quake. The government, along with the power industry and the academic community, all developed the habit of underestimating the potential risks posed by major quakes. Why does it turn out that every single time we have a major “unforeseeable event,” it turns out to have been not only foreseen, but warned against — and those warnings were widely ignored by the people in charge? In 2006, Japanese Katsuhiko Ishibashi, professor at the Research Center for Urban Safety and Security at Kobe University’s Graduate School of Science, resigned from a nuclear power advisory panel. The reason? 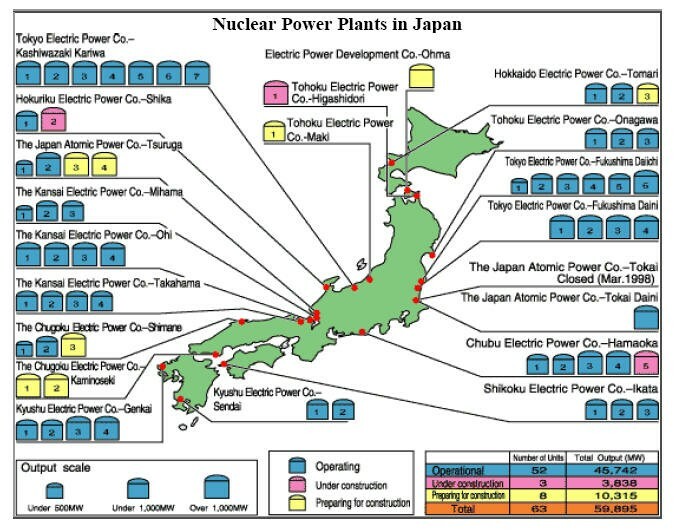 The Japanese commitment to building nuke plants in earthquake zones. Ishibashi believed that design standards were too lax to stand up to a major earthquake. Further, he believed that overconfidence in plant engineering could lead to a nuclear catastrophe. Ishibashi even created the word “GENPATSU-SHINSAI,” which is a combination of earthquake and a nuclear meltdown. He has been repeatedly, explicitly warning the Japanese government about the danger of building Nuclear plants on active fault lines. The quote above comes from a 2007 article published in both International Herald Tribune andAsahi Shinbun: Why Worry? Japan’s Nuclear Plants at Grave Risk From Quake Damage. Ishibashi believed that a long period of relatively mild earthquake activity may have lulled Japanese authorities into a false sense of security. Following the Great Hanshin earthquake in 1995 (the Kobe quake), fault lines seemed to have entered into a new period of activity. Over the next years following the Kobe quake, several major quakes took place in close proximity of three nuclear power plants: the Onagawa plant in Miyagi Prefecture (August 2005), the Shika plant in Ishikawa Prefecture (March 2007) and the Kashiwazaki-Kariwa plant. In each case, the maximum ground motion caused by the quake was stronger than the seismic design criteria for the nuclear power plants. Previously: Governments Have Been Covering Up Nuclear Meltdowns for Fifty Years to Protect the Nuclear Power Industry.